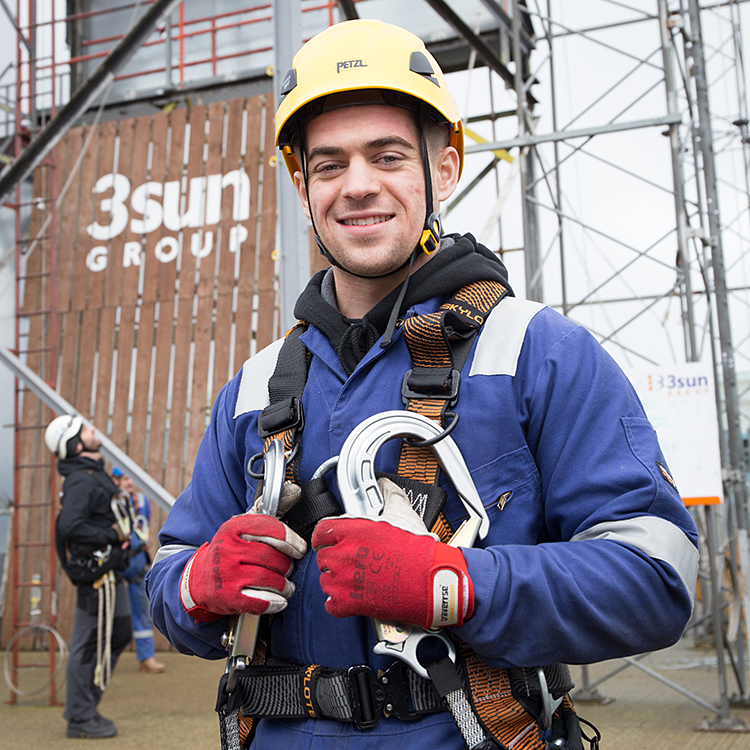 More than 100 new wind turbine technicians have been taken on by leading energy company 3sun Group, swelling its staff roll to more than 400. Some are joining the 40-strong team building the 56 6MW Siemens turbines for the Galloper Offshore Wind Farm at the purpose-built pre-assembly yard at Great Yarmouth port. A 120m crane stands ready to lift them to sailaway to the site off Suffolk next month where they will be installed on to the 336MW wind farm’s foundations. More than 1500 hopefuls sent their CVs to Great Yarmouth-based 3sun when it announced its search for 100 new technicians January, many from oil & gas workers looking for a new career. After completing training at the 3sun Academy, they are now joining teams across the UK and Europe, with some earmarked for the “Made in Great Yarmouth” project at Great Yarmouth’s Outer Harbour. Curtis Robinson, 21, who completed the pre-apprenticeship last summer, will join former oil & gas workers Carl Hills and Bryan Marshall, made redundant last year, on site. 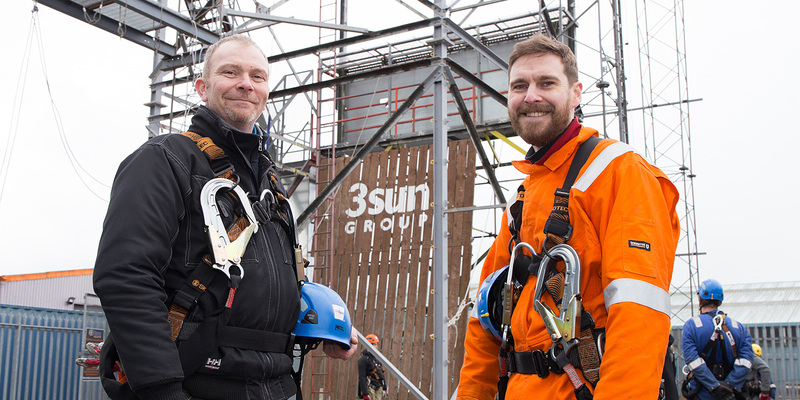 They were training at the 3sun Academy within days of receiving their job offers, completing Global Wind Organisation (GWO) courses, working at height, safety passport, manual handling and first aid training demanded by the industry. Carl, 46, said offshore wind offered him the chance of a “job for life” after years working offshore across the world – in Africa, Malaysia, Qatar – as a maintenance supervisor. Made redundant in 2015, he moved into a lower level offshore job for a year before facing redundancy again. The recruitment campaign will service £6million of new and existing offshore wind farm contracts in the UK and across the world. Photos: New 3Sun Group recruit Curtis Robinson is about to start his first job after completing 3sun Group’s Pre-Apprenticeship training. And Carl Hills, left, and Bryan Marshall, both made redundant from their jobs in oil & gas last year, are working on pre-assembly work on the 56 6MW wind turbines for the Galloper Offshore Wind Farm at the purpose-built pre-assembly base at Great Yarmouth. ©TMS Media.